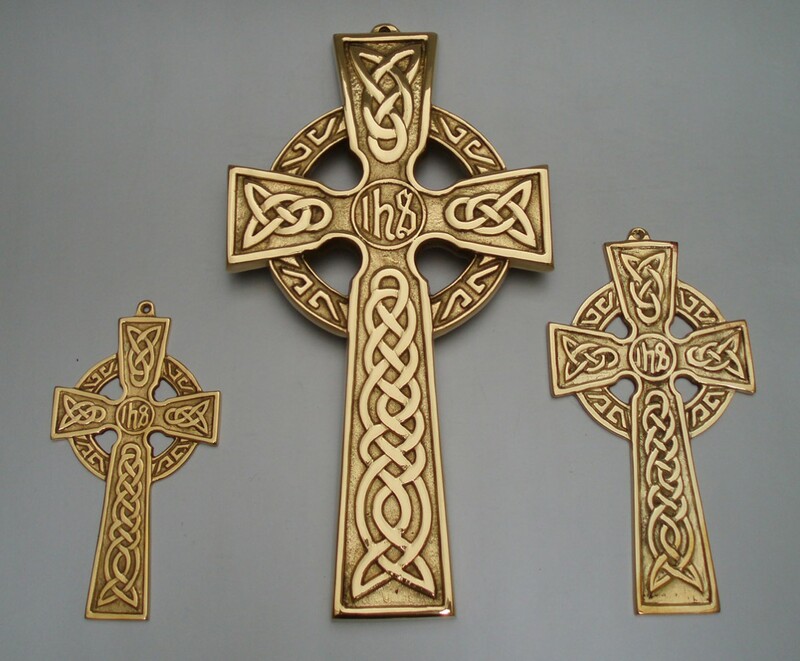 Large Celtic Wall Cross / “IHS” center – The Robert Emmet Company Inc. 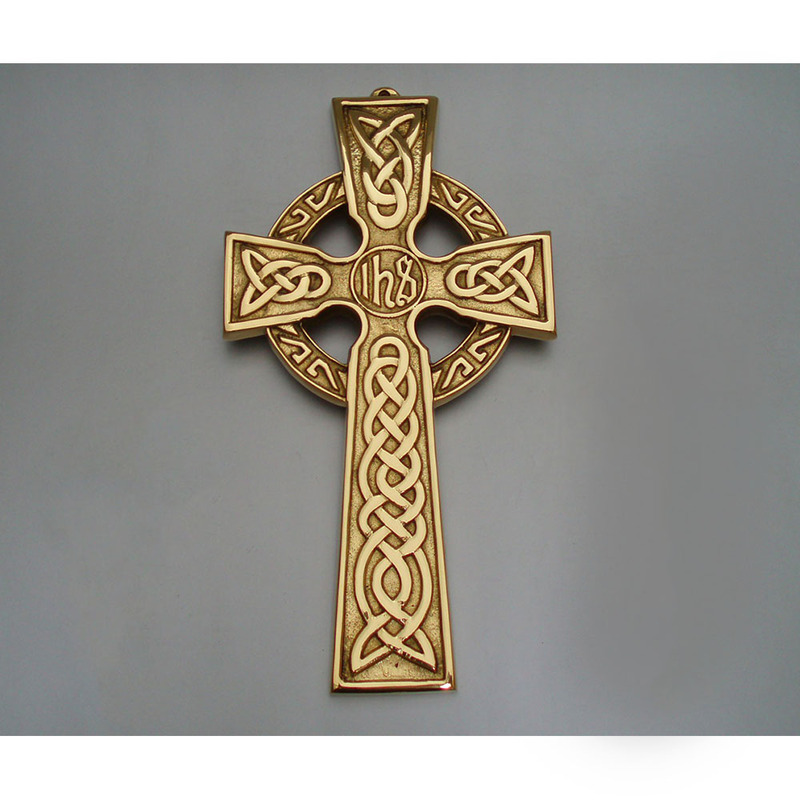 Solid Brass Celtic Wall Cross. 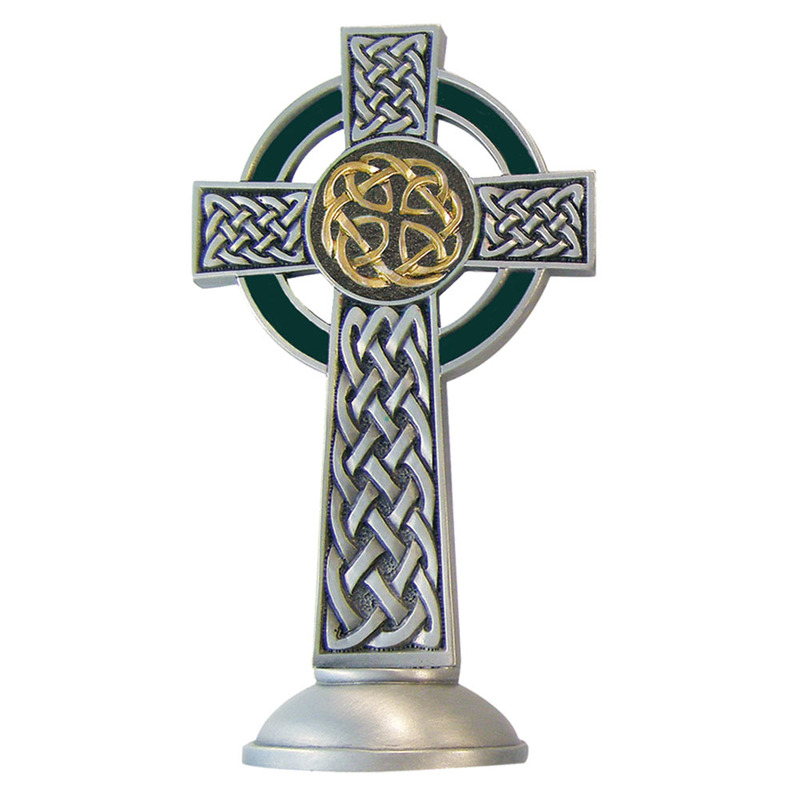 Mounting hole on top of cross. 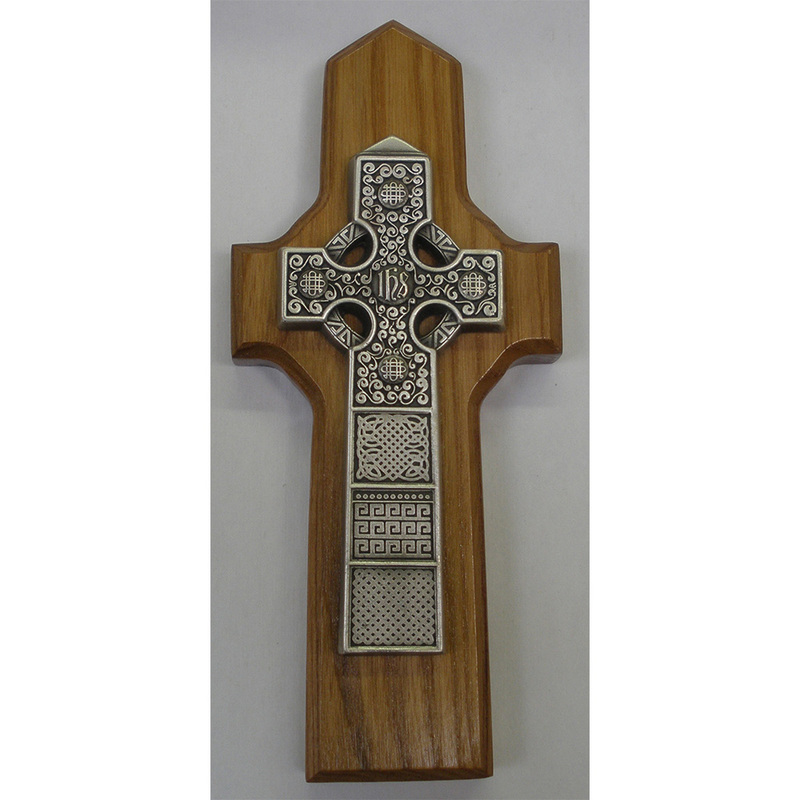 Custom gift-boxed with hot-stamp Cross graphic on top of box.